A current practicing Cardiologist at East Texas Medical Center, Dr. Aleksandr Korniyenko brings to the American Health Council 7 years in the healthcare industry. With expertise in Cardiology, Echocardiography, Nuclear Cardiology, Vascular Medicine, Cardiac Critical Care, and Medicine, Dr. Korniyenko offers multifaceted contributions to health and patient care. Graduating with his MD in Cardiology and Medicine from Ross University in 2008, Dr. Korniyenko went on to complete his Fellowship in Cardiovascular Disease at New York Methodist Hospital, and his Internal Medicine Residency at St. Luke’s – Roosevelt Hospital Center. He is Board Certified in Internal Medicine, Cardiovascular Disease, and Nuclear Medicine. 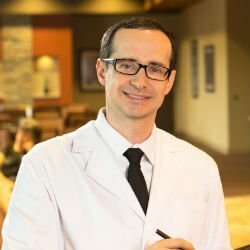 Currently a two-year Physician at East Texas Medical Center, Dr. Korniyenko partakes in day to day responsibilities, mainly including Cardiac Care to patients. He runs multiple clinics in a healthcare screening centers, working mostly with Cardiovascular Medicine and Comprehensive Cardiac Care patients. Dr. Korniyenko became involved in his profession due to his experience as an EMT worker and Paramedic, later deciding to continue aiding others by attending medical school. Professional awards and honors which Dr. Korniyenko has received throughout his career include a Best Teaching Fellow and an induction to the Dean’s List as Chief Cardiology Fellow and Chief Medical Resident. 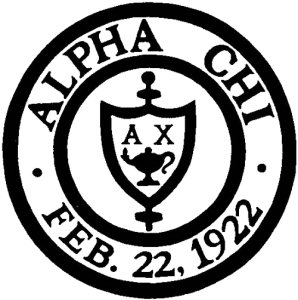 He is a member of both the American College of Physicians and Alpha Chi National College Honor Society. Dr. Korniyenko was also part of a rescue mission during 9/11 as a Paramedic, utilizing his skills in Cardiac Arrest Management. East Texas Medical Center Regional Healthcare System is a system of primary, secondary, and tertiary healthcare facilities ad services throughout East Texas. East Texas Medical Center was established in 1951 and they are a system with one mission, which is to bring to the people the care they deserve. Cordova JP, Korniyenko A, Alviar C, Nadkarni G, Eslava D, Romero J, Fridman V, Cianci C, Corpenza A, Kantrowitz N, Hong M, Fox J, Tamis J. Atypical Symptoms are Associated with Delays to Hospital Presentation and Prolonged Door to Balloon Times in Patients with ST Elevation Myocardial Infarction. Accepted for Presentation in American Heart Association Scientific Sessions 2010 and for publication in Circulation.. 2010 Nov; 2023(APS.204. ): 03a. Korniyenko A, Cordova JP, Sevilla R, Nadkarni G, Alviar C, Herzog E. Utility Of ST Segment Changes In Lead aVR To Identify The Culprit Lesion In Acute Myocardial Infarction: An Updated Meta-analysis On Sensitivity And Specificity. Accepted for presentation in Transcatheter Therapeutics 2010 and for publication in American Journal of Cardiology. 2010 Sep; TCT 458(September 22): B105. Cordova JP, Korniyenko A, Nadkarni G, Eslava D, Romero J, Chorzempa A, Cianci C, Hong M, Kantrowitz N, Tamis- Holland J. Cardiac Symptoms and Time to Presentation in Women and Men with ST Segment Elevation Infarction. Accepted for Presentation in Quality of Care and Outcomes Research in Cardiovascular Disease and Stroke 2011 Scientific Session. American Heart Association. Eslava D, Cordova JP, Korniyenko A, Hong M, Tamis-Holland J. Lack of English Comprehension is Associated with Delays to Hospital Presentation in Patients With ST-Elevation Myocardial Infarction. Accepted for Presentation in Quality of Care and Outcomes Research in Cardiovascular Disease and Stroke 2011 Scientific Session. American Heart Association. Korniyenko A;Lozada J; Ranade K; Sandhu G. Recurrent Lower Extremity Pseudocellulitis. American Journal of Therapeutics. 2010 Aug; 2010(Aug 19): 1. Cited in PubMed; PMID: 20724909. Makani H, Messerli F, Korniyenko A,. Do Angiotensin Receptor Blockers increase the Risk of Angioedema?. American College of Cardiology abstract. 2009 Dec; 10-A-7866-ACC(10-A-7866-ACC): 10-A-7866-ACC. Sandhu G, Georgescu A, Korniyenko A, Florita C, Iuga A. Recurrent Perirectal Abscess. American Journal of Medicine. 2010 Sep; 123(9): 775-874. Cited in PubMed; PMID: 20800133. Cordova JP, Balan S, Romero J, Korniyenko A, Alviar C Jean R. Chasing the Dragon: New Knowledge for an Old Practice. American Journal of Therapeutics. PMID:21519216. Alviar CL, Cordova JP, Korniyenko A, Aziz EF, Herzog E. Nicardipine Infusion as a Safe Alternative in Hypertensive Emergencies in Patients with Low Ejection Fraction.. Nicard-HF Study, ACC. Publication Status: Submitted. Korniyenko A, Alviar CL, Cordova JP, Aziz EF, Herzog E. Mild Hyperkalemia and Low GFR a Tedious Recipe for Cardiac Disaster in the Elderly; an Unusual Reversible Cause of Syncope and Heart Block. The American Journal of Geriatric Cardiology. Publication Status: In-Press. Romero J, M.D, Shah A, M.D, Korniyenko A, M.D. “A blind spot in the eye of imaging technology: A case report of penetrating atheromatous ulcer.” International Journal of Cardiology. Balaji Pratap MD, Korniyenko A , MD. Atypical presentation of syncope after the use of marijuana imitating Brugada Syndrome. The Hellenic Journal of Cardiology.